Star Wars fans everywhere are looking forward to the new trilogy. As the release of Star Wars; The Force Awakens starts to loom, pre production for the sequel is already in the works. Just recently sources revealed that Gina Rodriguez, Tatiana Maslany and Olivia Cooke are competing for the female lead in Rian Johnson’s Star Wars: Episode VIII. Star Wars Episode VIII is to be directed by Rian Johnson. Johnson is known for previously directing several episodes of the hit series Breaking Bad as well as the 2012 action thriller, Looper which starred Joseph Gordon Levitt and Bruce Willis. 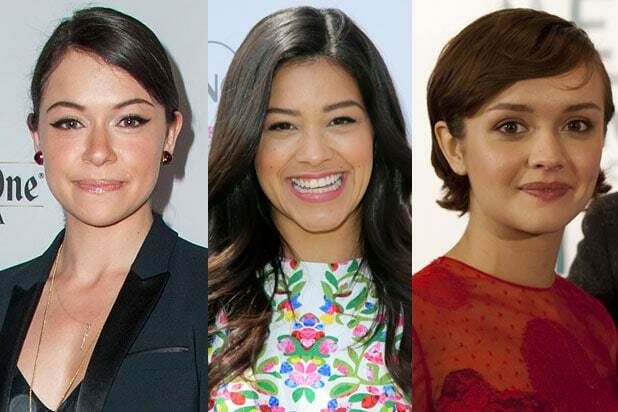 As for the cast contestants, Gina Rodriguez is known for her work in Jane the Virgin which she won a Golden Globe for. Tatiana Maslany who was also considered for the franchise spin-off “Rogue One; A Star Wars Story”, however the role went to Felicity Jones (The Theory of Everything). Olivia Cooke has become famous for her work in Me and Earl and the Dying Girl. Who ever earns the part will co star next to John Boyega in the Star Wars sequel. Star Wars Episode VIII is scheduled to be released in May 17th, 2017.